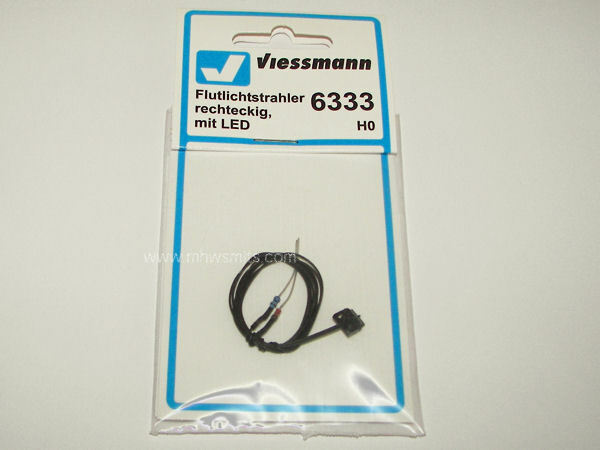 Viessmann is best known for its electronic accessories for model railways. 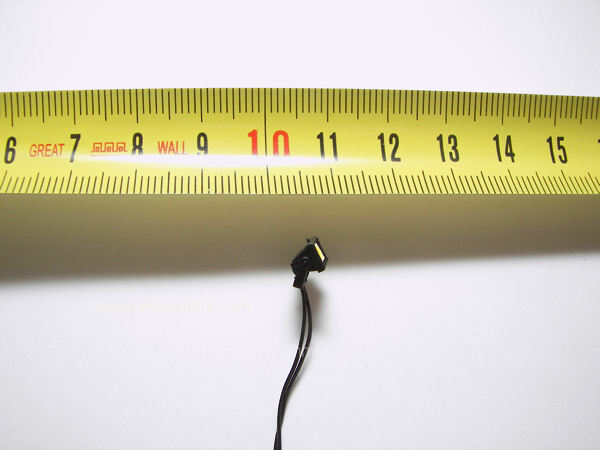 Most of their products are too small to be used with scale 1/50, but some of the accessories are suitable for use. One of these is this flood light, originally made for H0 railways, but sized to fit scale 1/50. The package contains the light and an -at first sight- multilingual manual. 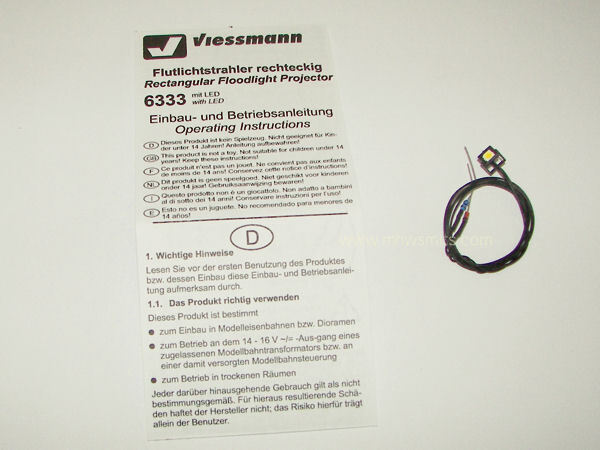 The instructions are however mainly in German, with some hints in English. The whole flood light is less than one centimeter large, but has been scaled down with lots of detail. The flood light is mounted on a bracket and can be moved, and the housing features realistic cooling ribbons. A diode and a resistor are attached at the end of the wire. According to the manual the light needs a current between 14 and 16 Volts. 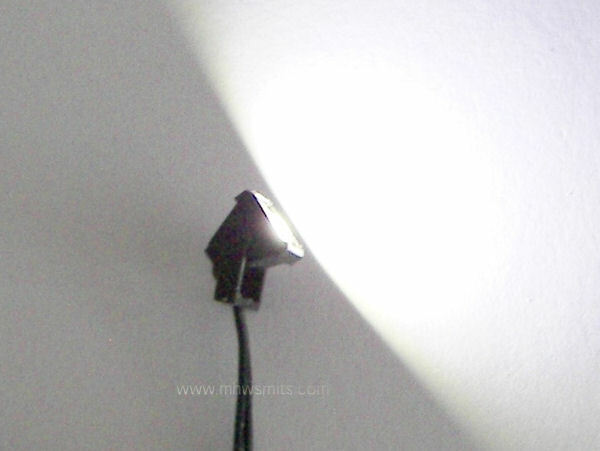 A LED is used as light source, which reduces power consumptions to a minimum. 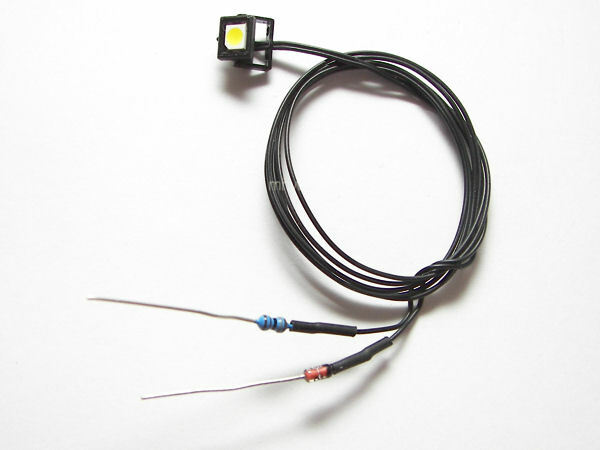 This makes it possible to connect up to 100 LED lights to one appropriate transformer. As mentioned Viessmann advises a current between 14 and 16 volt. The picture below shows the amount of light when connected to a current of just 12 Volts. This picture was made by daylight.